No matter what reasons, this insight will help you when you plan on moving to a new office space with your IT in mind. While you are filtering through potential locations, please keep in mind that you are looking for a better place instead of saving money and moving to an inadequate one. Imagine your ideal workplace, bright windows, prime locations with convenient transportation options, a big room for team working activities, and a practical microwave and fridge. It’s important to divide all your office supplies, and classify all your IT supplies. Next, you’ll need to know which things to bring to your new office and which you will replace. For example, all the computers, monitors, keyboards, and mouses of your current office space are movable, and plausible to move to the new facility, unless you are planning to buy a new set of that type of equipment. Make sure to pack your stuff carefully too. While moving, you can simultaneously post the pictures of your old office equipment for sale on a website. Deciding whether to buy a set of new furniture or reusing the ones you already have is up to you. How you plan to deal with your old-fashioned devices is another thing to think about it. Get in contact with your telecommunication and internet provider to assist you with transferring services to a new location. It is important to get all that stuff settled down because your company’s normal operations depend on it still, especially on the first day right after the move. The things that you need to be taken care of right away include switch machine transfer, new telephone line applications (if you choose to change them), and voicemail applications reset. Again, it is not about cost, the office furniture should be practical for everyone to work on every day. For example, make sure that your chairs are ergonomic, everything is covered by warranty, and the quality of items are made from reputable materials, etc. Make sure that you sealed all your boxes for transportation. and they should all be numbered in order so items can be found easily. Recycle unwanted items and documents in advance. Also, don’t forget to avoid the peak transportation so as not to delay your moving process while transitioning from location tot he next. Order your telephone connections from your phone suppliers as soon as possible. You need to know how many lines you need, where are the power points, printers and faxes, and cabinets for installation and connection. Don’t forget those basic equipments. It’s important to know that professional moving company is mostly based on the number of boxes and volume estimated for the given price of service. Therefore, you must make it clear in advance. 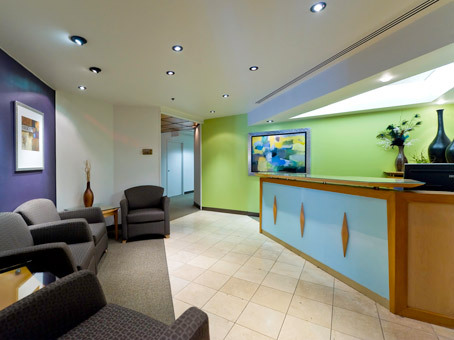 Here are some processes to moving to your new office space. First, a telephone consultation. Call the customer service of one moving company and to know some important information such as moving date, moving routes, and whether there are valuables. Tell them specifically that you have some special items like pianos, big cabinets, etc., and whether it is necessary to be dismantled. Second, a telephone offer. After a telephone consultation, the company will indicate to you the cost of moving. If you are relocating small items, the moving agency can sign an oral agreement on the phone, because it is a small move. Third, contact the customer services of the moving team at least 24 hours in advance. In order to determine the time, routes, and any updates of additional equipment added on to the move. Make sure you tell the moving company that you wish to pack by yourself or you need help from the transportation team. Also, a moving company can provide a free evaluation of the cost to move the whole stuff from your former office. Fourth, on the moving date, according to the number of clients reported, a moving company will assign the right vehicles and the proper amount of transportation workers. They should be prompt to arrive ahead of time. Fifth, positioning services. A moving agency will classify all items as you wished and put them on the truck or car. When it has arrived at the new office, transportation workers will help you put furnishings in the right place, but get your it professionals to install your IT equipment and do IT patch maintenance. Finally, payment. After all the steps above, you will need to check whether or not you have all your items you have recorded. make sure nothing is lost or damaged. Then make the payment to the moving company. Ensure that all your clients and suppliers know where you are moving to and when the move will happen. Send them an email and a letter to let them know. Don’t forget to arrange a move-in party for all your staff and/or clients.